Together with bears, some of which have also been known to frequent sites with large amounts of food waste, the Procyonids are carnivores-turned-omnivores. 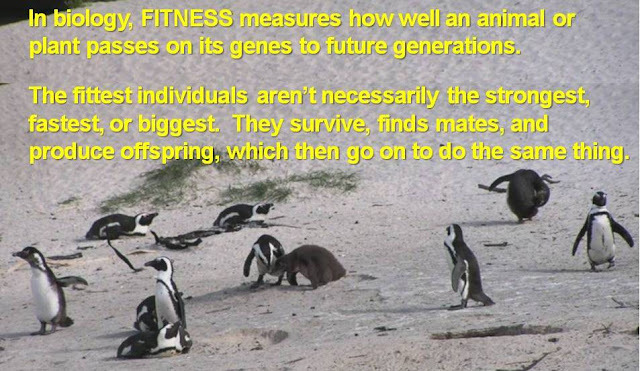 Although they are in the order “Carnivora”, together with well-known carnivores such as cats, and dogs, as well as bears, seals, skunks, and weasels, they have adopted a much more omnivorous (omni=all, vorare=devour) diet that includes fruits, nuts, frogs, eggs, and even carrion (animals that are already dead). Over time, they have lost their specialized carnassial teeth, which work like scissors to cut through the tough meat of other animals, and they have developed crushing teeth to be able to eat seeds, insects, and other harder foods. 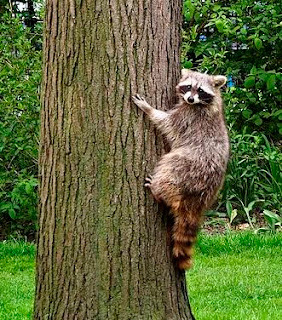 Procyonids are not bears, cats, civets, or monkeys, despite some of their common names, though they will typically climb trees when threatened, and several species can also rotate their hind feet 180 degrees to be able to climb down trees head first (don't try this at home). Except for coatis, which are mainly diurnal, procyonids are active at night, so they are less well known than the well-studied raccoon. Cacomistles, kinkajous, and olingos live in the forest canopy, so they depend on an intact forest to both survive and reproduce. 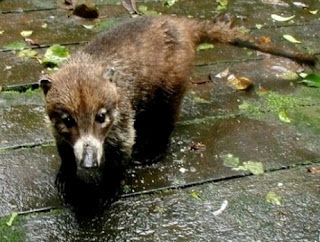 All spend at least some of their time in trees, and they travel most often alone though coatis can be seen in groups of up to 30.
raccoon – has a black mask over its eyes that (perhaps appropriately) give it the look of a bandit. Originally lived in forests and there it sleeps in hollow trees or ground burrows but now will willingly use human structures, such as abandoned buildings, barns, and even attics as a den. Eats nearly anything. coatimundi – is the only diurnal member of the family, and females and young coatis travel in groups, while males travel alone. Their long, pig-like nose is flexible and can be rotated up to 60 degrees in any direction (!! ); they use it to sniff around on the forest floor to find ants, beetles, spiders, scorpions, and centipedes, but will readily raid a camp or garbage site. They are clever and can become loyal pets. 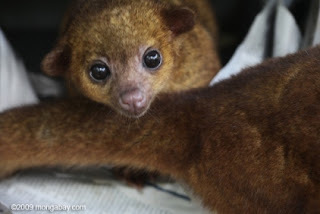 kinkajou – is not a bear, though sometimes called a “honey bear”. 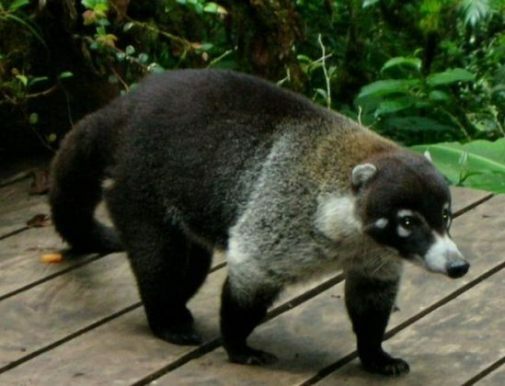 It is also not a monkey, though it lives in trees in closed-canopy (intact) forests of Central and South America and has a prehensile tail that can grasp branches and help it climb. The kinkajou eats mostly ripe fruit and uses its 5-inch retractable tongue (!!) to collect nectar as well. Though seldom seen (they're out in the forest at night), you might hear them screeching or barking in the darkness. 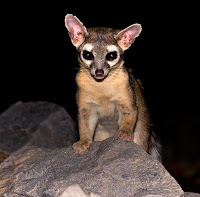 olingo – resemble kinkajous with their golden brown color, but they lack the kinkajou's prehensile tail and crazy long tongue. They are another resident of the canopy in rainforests of southern Central and South America but avoid kinkajous, which are larger and will kick them out of a fruit tree. 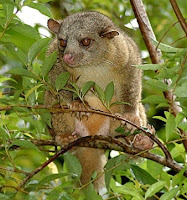 cacomistle – is closely related to the ringtail but has pointy ears, a faded striped tail, and retractable claws like a cat. Unlike the ringtail, it lives in the middle and upper levels of forests in Mexico and Central America and so is a great leaper and climber. This also means it depends on intact forests for survival. 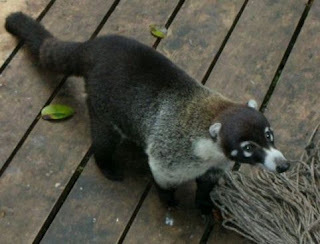 ringtail – is not a cat. Unlike the other Procyonids, it inhabits rocky dry areas near water in the SW USA and Mexico -- it is the state animal of Arizona. It is apparently easily tamed and was used by early pioneer settlers to rid their cabins of mice. This opportunistic bunch benefits from a pretty cute exterior! 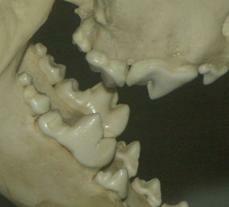 Does anyone out there have a pet Procyonid? I wanted to thank you for this excellent read. 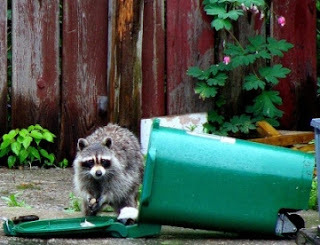 The guidance regarding raccoon is beneficial for everyone. 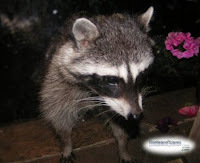 Critter Pricker is the true choice if anyone want help regarding raccoon repellent .